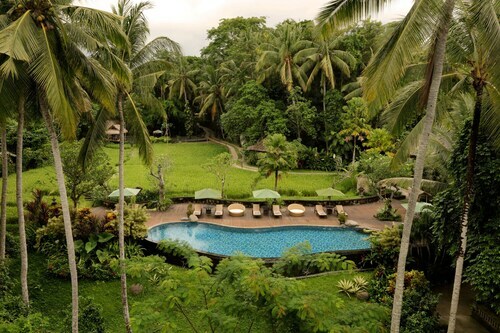 Situated in Ubud, this hotel is steps from Pura Dalem Agung Padangtegal and Ubud Monkey Forest. Ubud Traditional Art Market and Ubud Royal Palace are also within 1 mi (2 km). 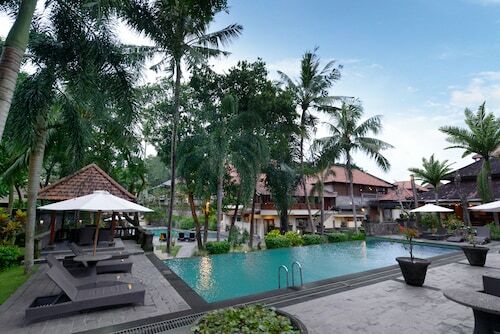 Located in Ubud City-Centre, this hotel is within a 15-minute walk of Ubud Monkey Forest, Ubud Traditional Art Market, and Ubud Royal Palace. Puri Lukisan Museum and Campuhan Ridge Walk are also within 2 mi (3 km). 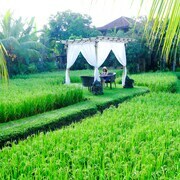 Located in Ubud City-Centre, this spa hotel is within a 5-minute walk of Wayang Kulit and Ubud Monkey Forest. Ubud Traditional Art Market and Ubud Royal Palace are also within 15 minutes. 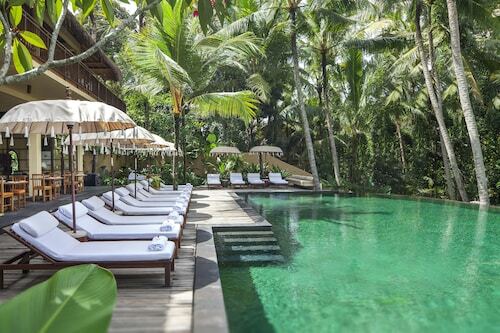 Located in Ubud City-Centre, this luxury hotel is within a 10-minute walk of Wayang Kulit and Ubud Monkey Forest. Ubud Traditional Art Market and Ubud Royal Palace are also within 15 minutes. 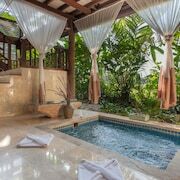 Located in Ubud City-Centre, this spa hotel is within 1 mi (2 km) of Ubud Monkey Forest, Ubud Traditional Art Market, and Ubud Royal Palace. 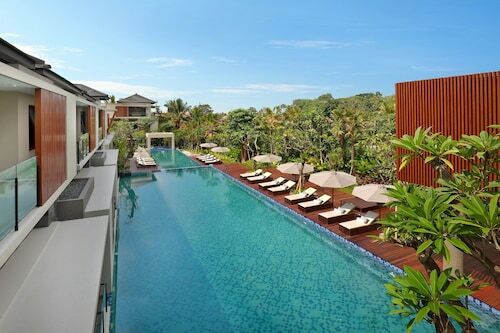 Located in Ubud City-Centre, this spa resort is within a 10-minute walk of Wayang Kulit and Ubud Monkey Forest. Ubud Traditional Art Market and Ubud Royal Palace are also within 15 minutes. 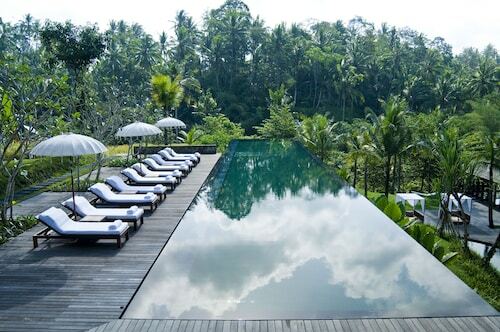 Situated in Ubud, this spa hotel is within a 5-minute walk of Pura Dalem Agung Padangtegal and Ubud Monkey Forest. 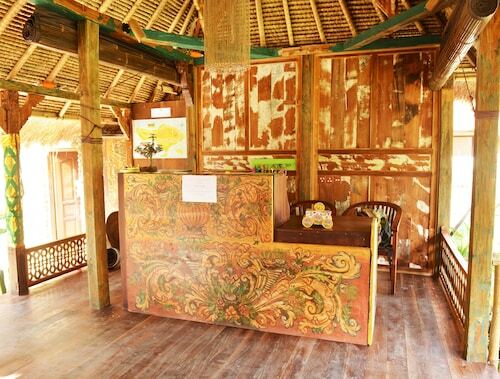 Ubud Traditional Art Market and Ubud Royal Palace are also within 2 mi (3 km). 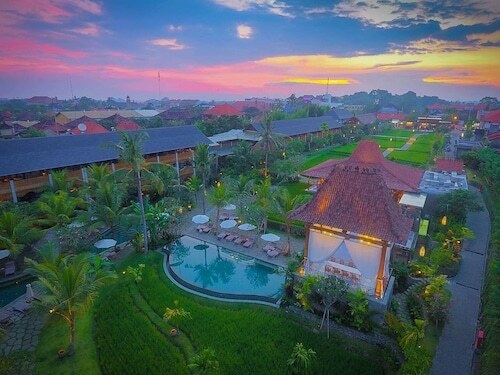 This family-friendly Ubud resort is located in Pengosekan, within 1 mi (2 km) of Ubud Monkey Forest, Ubud Royal Palace, and Ubud Traditional Art Market. Campuhan Ridge Walk and Bali Zoo are also within 6 mi (10 km). 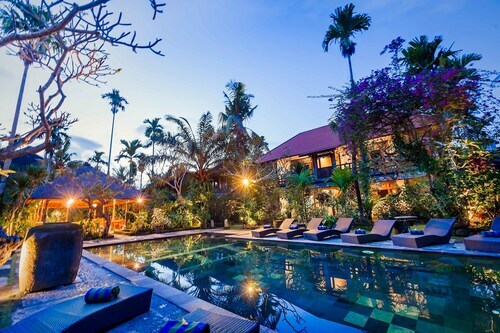 Located in Pengosekan, this hotel is within a 15-minute walk of Agung Rai Museum of Art and Ubud Monkey Forest. 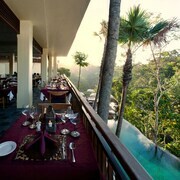 Peliatan Palace and Ubud Royal Palace are also within 1 mi (2 km). 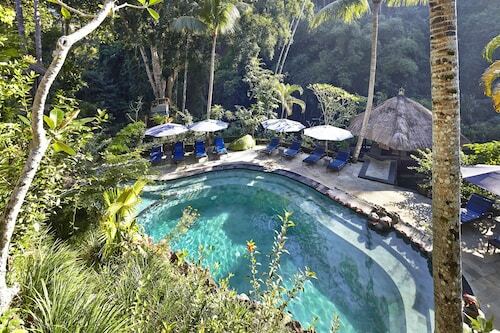 Located in Pengosekan, this luxury resort is within 2 mi (3 km) of Ubud Monkey Forest, Pura Dalem Ubud, and Campuhan Ridge Walk. Bali Zoo and Bali Bird Park are also within 6 mi (10 km). 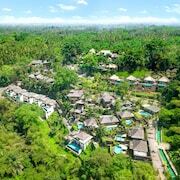 Located in Ubud City-Centre, this luxury resort is within a 15-minute walk of Wayang Kulit, Ubud Monkey Forest, and Campuhan Ridge Walk. Ubud Royal Palace and Ubud Traditional Art Market are also within 15 minutes. You and your mates will be sure to remember Ubud Monkey Forest for a long time to come. 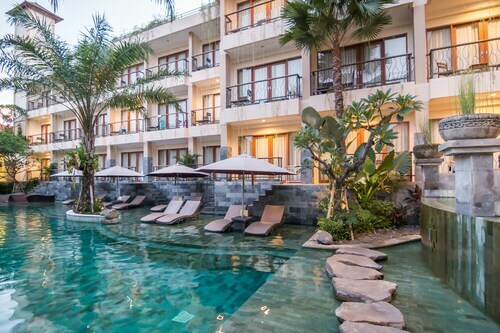 You've got an abundance of choice when it comes to places to stay, with 120 options just a stone's throw from Ubud Monkey Forest. 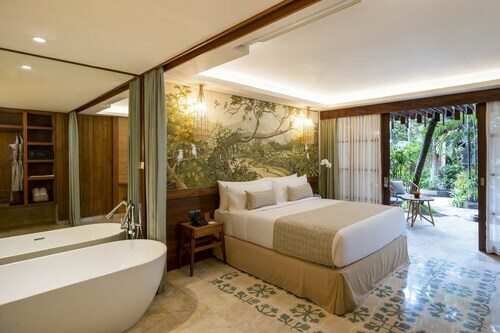 Consider the amenities at the Royal Kamuela Villas - Monkey Forest Ubud, The Ubud Village Resort & Spa and KajaNe Mua. Save your dosh by opting for a cheaper hotel in the vicinity. Why don't you stay at the Sadru House, which is only 2 kilometres away? 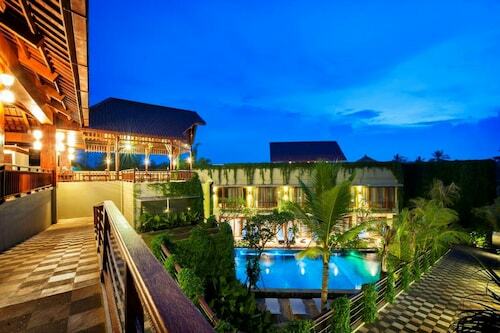 If that doesn't suit, consider the Arnawa Bungalow, 0.6 kilometres away. Also, there are many elegant upscale hotels nearby. 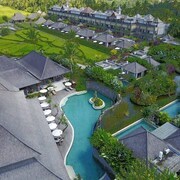 The Four Seasons Resort Bali at Sayan and the Samaya Ubud, 3 kilometres and 2 kilometres away, are worth looking into. 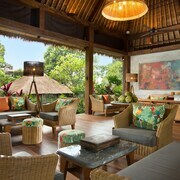 Before you go to Ubud Monkey Forest, build up your energy with a coffee at Cafe Wayan and Bakery. When you can't go another step without a decent feed, stop by Kajane Mua. And then, head straight to Spaccanapoli di Ubud to get to know the crowd. For a true cultural experience get lost in the tranquil atmosphere of Pura Dalem Agung Padangtegal. Art enthusiasts should organise to stop by Adi's Gallery to see the variety of fantastic artworks adorning the walls. Be a part of any group tours of Peliatan Palace, or simply view the exterior architecture of this long-standing palace. If you're known as a serious art admirer, Agung Rai Gallery is waiting for you. Showing a great number of fascinating masterpieces, you'll be pleased you took a few hours to peruse its walls. 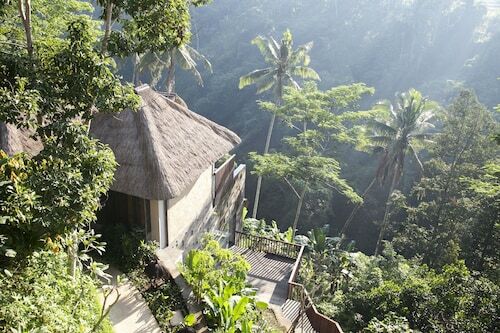 How Much is a Hotel Room in Ubud Monkey Forest? 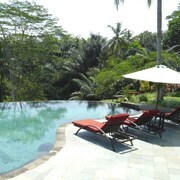 Hotels in Ubud Monkey Forest start at AU$78 per night. Prices and availability subject to change. Additional terms may apply.